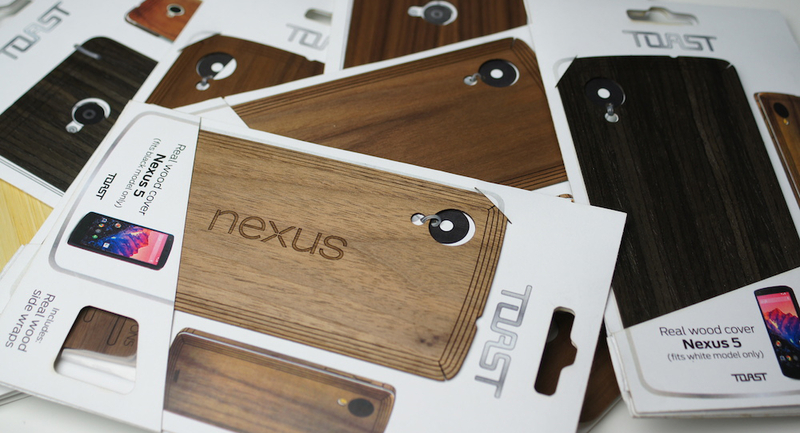 Ever since we posted our Toast factory tour and hands-on with the Nexus 5 cover made of real Walnut, we kept getting hounded for a giveaway. Well, here it is! These covers are made right here in the US of A, in the wet and wild area of Portland, Oregon. Toast covers are essentially a “sticker” made of real wood on the outside, with extremely sticky 3M adhesive on the inside. Once applied to your device, the cover isn’t going anywhere. Unlike the wood backs you would get on Moto X, the wood on these covers is less treated, meaning you will be feeling your wood grain for days after applying, and they age great. If you watch any American Pickers, you’d know it’s all about the patina. The wood itself is harvested on the East coast, with the exception of the Bamboo and Ebony options, which are brought from overseas. If you seriously haven’t seen our factory tour yet or hands-on video, then we highly recommend you go do so. We have 8 covers to give away – two for the Moto X, four for the Nexus 5, and two for the HTC One. Down below you can see the cases we have, so if you have been wanting to get your hands on one of these beauties, this is your chance to score one for free. Follow the very simply rules below to enter, and good luck! Update: We have selected and emailed our winners. Thank you! Eight winners will win 1 of 8 Toast wood covers. 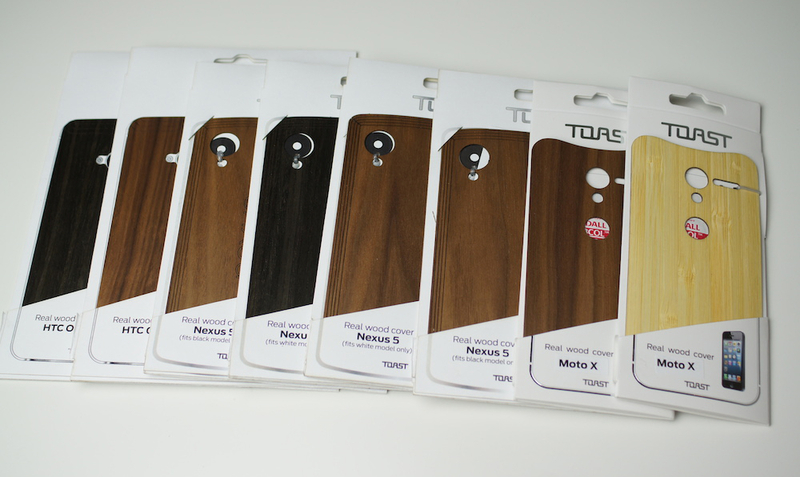 Covers available – (2x) Moto X in Bamboo and Walnut, (4x) Nexus 5 in Walnut and Ebony, and (2x) HTC One in Walnut and Ebony. Since we have assorted covers and we need to make sure you get the right cover for your specific device, all you have to do is a leave comment down below with which phone you have. We have covers for the Nexus 5, Moto X, and HTC One. Be sure to leave a comment that is tied to a valid email address, as we will send a message to winners. Tomorrow morning at 10am PST we will select our eight winners from the comments below. Good luck! Big thanks to Toast for sending along the cases for us to give away!